Your definitive guide to the 2018 college men's division! This article is presented by Spin Ultimate; all opinions are those of the author. Please support the brands that make Ultiworld possible and shop at Spin Ultimate! The first pull of the 2018 college season is up. With it comes a list of storylines, players to watch, and regional pictures long enough to sail out the back of the end zone. We’ve argued over top teams to watch, asked the questions that most bugged our reporting staff heading into the year, and sorted all of it into a one-stop shop. Who can stop Carleton and North Carolina from meeting again in the final? What are UMass, Wilmington, and Washington going to do without Ben Sadok, Jack Williams, and Khalif El-Salaam. Is Adam Rees ready to lead Oregon deep into the postseason? It’s all been keeping us up at night. We’ve done our best to make our cases for you the 2018 D-I College Men’s Season Primer. Expectations this year are firmly that #1 Carleton CUT and #2 North Carolina Darkside will be the best two teams in the field. Their combined talent and experience, after a National Championship and semifinal appearance in 2017, respectively, puts them in a tier of their own. Many are anticipating a matchup in the final that we were denied last season by UNC’s meltdown in their final game. Over the years, however, the college regular season and the series have managed to defy expectation. Even if it’s tough to imagine another team being as good as this duo, there’s a reasonable chance someone will break through to reality. Part of what makes college ultimate great is the unpredictability and teams like experienced and talent teams like Minnesota and Oregon won’t be intimidated.It could be a surprising team that’s hungry for more after a program-defining performance, like Colorado State or Auburn. Or it could be a pillar program being written off a little too early, like UNC Wilmington or Pittsburgh. It’d be shameful not to give you the rundown, just so you can get the scope of how good they are. Carleton returns 1st Team All-American Alex Olson, along with Sol Yanuck, Eric Taylor, Tim Schoch, and last year’s dynamite freshmen (all exceptional, but Joe White has been busting at the seams since we snubbed him in the ROTY selection in 2017), . CUT even adds D-III up-and-comer Andrew Roy. North Carolina returns Matt Gouchoe-Hanas, who is basically the golden boy of the division, along with Walker Matthews, Norman Archer, Nathan Kwon, Elijah Long, Andrew Cohen, 2017 ROTY Kai Marcus, and high-powered Marc Rovner. And yes, they did land Liam Searles-Bohs, the most talked about recruit in the division, but their rookie class without him would still be one of the division’s best. It’s an extensive, although not exhaustive, list of firepower for these two teams. On paper, we’re a long way off from finding a quality suitor. But Carleton and North Carolina lost a combined 15 games last season before looking like the best two teams at for much of Nationals. They looked great on paper then, too. But they weren’t invincible, and you don’t have go far back to see it. 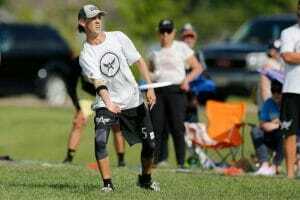 POTY-frontrunner Adam Rees is back to helm #4 Oregon Ego, co-captaining alongside O-line shooter Colton Clark and trusty speed-demon reset Braedon Petrus. All three are fifth years. If previous roles hold, 2018 will be the third year in a row for this O-line group with a top gear that’s practically unrivaled in the division. Connor Matthews and Will Lohre are back to open up swaths of space. Xander Cuizon Tice and Leandro Marx will play wherever the team needs them. Last year’s rookie group—headlined by Duncan Fitzgerald, Colby Chuck, and Ted Sither—showed poise in big moments during the regular season, slotting right into meaningful roles on both lines. The four rookies coming in behind them on the 2018 roster are on a team where playing time in big games will be a hot commodity. Stacked with talent and dangerous as ever, Rees, Clark, and Petrus have one last shot to take advantage of the incredible potential they have for group chemistry. Some of the team’s pure talent has to be translated into defensive prowess. The turbo-boost O-line couldn’t keep the team out in front of other elite opponents all game every game. Flashes of brilliance from the youthful D-line were there in 2017, but Ego’s leadership needs to find the formula for turning those flashes into consistent, stifling pressure. They’ll need to keep the score level when elite defenses slow down the O-line. Look for Marx, Fitzgerald, and Chuck to all take on big assignments and keep an eye peeled for new defensive wrinkles. Last season’s top three players in the Men’s division, POTY winner Ben Sadok and runners up Jack Williams and Khalif El-Salaam, are all gone. Replacing elite talent is something that all major programs have to go through, but last season’s departed stars are leaving their respective teams in varying positions. Sadok piled up stats all season for #6 Massachusetts, but Zoodisc has another big star all ready to soak up Sadok’s usage rate. Tannor Johnson is at the top of virtually everyone’s POTY shortlist for 2018, and despite playing a different role than Sadok he has all the tools to step in as the focal point of UMass’s attack. While last season marked a transitional year from the Babbitt/Kline/Tseytlin core for Massachusetts, 2018 should present fewer issues created by systemic change. UMass underwhelmed in the fall, but with the team’s track record for player development under Tiina Booth and plenty of returning players, they are a good bet to repeat their success of last season. While UMass has another POTY frontrunner in the hopper, #8 UNC Wilmington finds itself looking at a very different squad composition for 2018. Jack Williams was inimitable last year at Nationals, and there is no one on Wilmington’s roster that can be expected to handle that sort of burden this season. Instead of plugging someone into the superstar role, expect UNCW to steer into their depth. Several years of good recruiting classes have stocked Wilmington’s roster with lots of solid underclassmen contributors like Matt Ellis and Connor Russell. Combine that with steady if not spectacular veterans such as Kevin Mateer and Willie Stewart, and Wilmington could be looking at a season similar to what Pittsburgh had last year. A deep team with a high floor, but without the star power to elevate their ceiling above those of higher variance teams. #20 Washington may be the team most impacted by the departure of their superstar, as they face the possibility of taking a big step back in a deep and challenging Northwest region. Their list of playmakers is starting to dwindle – Steven Beneloah is the lone proven one remaining – and depth has not been one of the Sundodgers’ real strong points in recent history. It’s not just the skills of El-Salaam they are losing, its the team identity. Khalif was such a generational talent for Washington that he and the program were essentially intertwined for the past several years. El-Salaam’s exit coincides with other veteran gradations, like DY Chen, Tian Yuan Chen, Cooper Schumacher, and Galen Kornowski. After making Nationals for two years in row, UW may face a rocky path to return in 2018 as they turn the keys over to their underclassmen and start building a new generation from a strong sophomore class, anchored by Lucas Chen and captain Derek Mourad. It cannot be overstated how important it is for players, and more importantly a program, to get a taste of Nationals once before they can reach their potential on the biggest stage. Everything about how you approach the endgame to your season changes once you figure out how to continue to grow and improve after Regionals. With a bunch of talent returning and the blood in their mouth from last year’s predictable stumble at Nationals, this is the season Colorado State Hibida should be expected to break in to the upper echelon of teams. You can see examples of team’s that have followed this model: Central Florida, Texas A&M, and most recently, Auburn and UMass have all turned pedestrian Nationals performances into stepping stones for grander showings. When it comes to programs at Nationals, the sophomore slump becomes the sophomore jump. Speaking of sophomore jumps, Colorado State is also set to benefit from the growth of their 2017 rookie class. Mo Scott and Will McDonald are the highest ceiling members, but the rest of the cohort also got good reps in at Nationals. And CSU has been continuing to get quality recruits in the door and onto the field. That means, along with POTY candidate and star-stopper Cody Spicer, they have some depth. Jake Marropode and Jacob Servaty are both back to take on a lot of the offensive load with McDonald and Scott. What felt like a young team in 2017 suddenly feels seasoned and more than capable of using last year’s foundation to achieve a greater goal. With the South Central ready for the taking, CSU is ready for that and more. Three teams stood out with surprising fall performances that powered their climb up the Power Rankings ladder. #22 LSU was the first up, displaying a youth movement that wasn’t willing to wait at MLC. #23 Cincinnati and #5 Michigan both overperformed expectations at Classic City Classic, and both showed signs of sustainability moving into the spring. The Southeast is hardly locked up, although No. 10 Auburn looks impressive, there’s certainly a chance for an upset like last year. LSU drew attention with their MLC performance, making it to the final at the fall event. They’ve been a fringe team in years past, competitive in the region but never demonstrating consistency. With 5th year Tom Echols, one of the best players in the Southeast, at the helm, LSU’s prospects improved when their prospects arrived. Catholic High School has been one of the best youth teams in the country, and with Dylan Reviere and Matt Freeburgh in the fold, there’s an infusion of talent. They were strong in the deep game in the fall, and it’ll be interesting if they evolve their game in the regular season. Michigan asserted themselves as a top team in the country by reaching the final at CCC, including an emphatic win over UMass in the semifinals. Jake Steslicki was impressive as a thrower and defender, transfer Nathan Shapiro immediately stepped into a big role, and Daniel Lee and Wes Chen provided plenty of downfield firepower. This is a team that has the tools to improve structurally and doesn’t show the signs of a one-hit wonder. They flashed in moments last year, but this year’s team might be able to accomplish even bigger and better things. It’s pretty clear that Cincinnati has a strong sense of their strengths and weaknesses. Captain Keegan North, who looked the part of a collegiate playmaker with the US U24 National Team in Perth, was upfront about their concentration of skill, and need to develop role players around it. They didn’t even have all of their offensive threats playing at CCC when they made it to the quarterfinals. With North, Justin Latz, and Jacob Turner in the fold, Cinci might be able to gameplan their way through deeper opponents. How do we process Auburn in 2018? Are they the preeminent program in the Southeast? It was not so long ago that we envisioned Florida, Georgia, UCF, and other southeast powerhouses perennially dominating the national scene on the back of gigantic (both literally and figuratively) student bodies. But after a few years of decline, the dust has settled in the Southeast and somehow Auburn seems to be the only major program remaining. Auburn’s identity over the past three years was forged while playing the role of jovial underdogs, from the Tulane roster scandal to all things Hank Womble. But after three straight trips to Nationals and a Southeast Regional title last season, what does Aetos look like when they are the status quo? In many ways it is easier to play the role of outsider, to adopt an “us against the world” mindset, when there is little to lose and much to gain. But now expectations are different. Auburn is not only a top 10 team heading into the season and the favorite to win their region, but for the first time it would be a disappointment if they didn’t reach those heights. For a team that has had attributed so much of their on field success to the environment and ethos they have cultivated off of it, how the team’s culture handles the transition from scrappy upstart to established program could be crucial in determining their competitive performance. How will a team that has built its identity on ebullience grapple with the weight of expectations? Underclassmen talent is set to define North Carolina teams this season. UNC boasts a fully-loaded rookie class to add to their overflowing talent. NC State and UNC Wilmington both benefit from sophomore heavy squads that will have a huge impact on the performance of those programs. Wilmington’s Connor Russell and Matt Ellis sit at the top of a seasoned crew of sophomores. NC State’s large sophomore class is itching to avenge their Regionals loss to Virginia Tech. Will the fountain of youth in North Carolina lift #18 NC State to Nationals? Last season the Wolfpack were able to secure a strength bid but fell short at Regionals. Fueled by some of the programs best ever recruiting classes, with many players coming from the ascendant North Carolina youth scene, we shouldn’t be surprised if NC State is in the mix again this season and for years to come. But they’ll have to fight off Joe Freund and Virginia Tech, and with Freund only getting better, it won’t be easy. UNC Wilmington might be overlooked this year due to how good UNC is, but everyone should have learned last year how dangerous that is. Still, how good could they be without Jack Williams? Really damn good. It’s a program for a reason, and with both young talent and some take-no-prisoners vets, those sleeping on the Seamen are in for a rude awakening. #17 Connecticut is the only nationally competitive team in the Metro East, but even having one such team is a big step forward for the region after a half decade of mediocrity. With a veteran heavy squad – the team expects to graduate 15 players after this year – that have gotten reps at Nationals the past two seasons, you can expect a UConn squad with top to bottom contributors. John Wodatch and Mike Rice have departed over the past two seasons, so there is a bit of a vacuum at the top of UConn’s roster. Wally Esker will inherit the focal position for Grind, but discerning who can take the field in crunch time will be a focus of the regular season. If another Metro East team is going to challenge UConn, it’s likely going to be because of an implosion from the defending champs. Princeton, Cornell, and the rest of the region are simply uninspiring. Is anyone primed to wrest control of New England from UMass Zoodisc? Tannor Johnson and Brett Gramman will return to lead their team with U24 gold medals between their teeth. Hall of famer Tiina Booth and Russell Wallack return for their third season coaching together. Who’s ready to play spoiler? Harvard Red Line is out of Stubbs siblings and missed Nationals in 2017. Will they have the talent to make a push for another bid, or challenge the behemoth across the state in Amherst? Brown may have the playmakers – Mac Hecht and Eli Motycka have the bonafides – to earn a bid, or put a scare into UMass good enough to a coin flip game when it counts. The team out of Providence hasn’t been able to put the regular season results together Hecht’s first two seasons, struggling to get top-flight wins, going 0-15 against Nationals teams. But they’re approaching tough-out status having made the rounds now, and will benefit greatly from freshman John Randolph’s talents. There probably isn’t a big window for Brown to make their run, so they need urgency this year, but mostly, they need to finally deliver the wins. Quietly, the Great Lakes had a surprisingly good year last season. Their best team, Michigan, finished 9th at Nationals. The rest of region proved to have some solid squads with appropriate resumes: Purdue, Northwestern, and Notre Dame flashed in moments. But it didn’t amount to much on the whole and Michigan ran away with the Great Lakes title. There isn’t much buzz after the region whiffed at Regionals. Michigan is a heavy favorite to wear the crown that seems to fit them so well. They simultaneously have the region’s best top end talent and depth. They haven’t lost a game in region in two years. Why would that change now? But perhaps the Great Lakes can build on last year’s successes and leave behind the rest. It was actually Chicago Junk that finished second in the region, and they return three 2nd team All-Region players in captains Jeff Zhao, Judah Newman, and Jeffrey Weis. That may put them in the best position to challenge Michigan, though you can expect the trio of last year’s noisemakers to be back in the conversation. The North Central, once again, will most likely get three bids. And should it get three bids, you can take it to the bank the three teams qualifying will be Carleton, Minnesota, and Wisconsin, most likely in that order. Looking at CUT’s roster, one word comes to mind: wow. There will be plenty of time down the road to go into all the reasons this could be a historically great team. For now, the fact that they won Missouri Loves Company last fall without any of their U24 players should tell you all you need to know. Meanwhile, #3 Minnesota Grey Duck brings a trio of U24 stars and a coach fresh off a U24 mixed world title. Grey Duck remains a dangerous team, but they have to face the facts: Ben Jagt is gone. There’s simply to denying that his absence leaves a noticeable hole in Grey Duck’s roster, both literally and figuratively. But expect Grey Duck’s offense to not skip a beat. They may have actually improved last year after Jagt was switched to D-line, putting the emphasis on their dominant handlers, rather than big playmaking. Expect more of the same from 5th year Penn State transfer Codi Wood, a squirrely handler (and tremendous handler cover) who will pair nicely with offensive stalwart Wyatt Meckler. Finally, the #7 Wisconsin Hodags face the age-old problem of replacing a huge senior class, headlined by stalwarts Avery Johnson and Ross Barker. This team is currently firmly third in the region, and will have to focus on developing their (significant) young talent for the future. Nick Vogt, David Yu, and Chris Wilen should still be enough to power the ‘Dags to Nationals. Will there be another bid up for grabs courtesy of #14 BYU CHI’s exclusion from postseason competition in 2018? The athletic team from Provo graduated a sizable senior class, but expect them to maintain a high level of discipline and defensive intensity that’s worth of the division’s top 20. CHI’s added Stanford Invite to their tournament schedule this year, so they’ll get a midseason look at how they stand up against the best of1 the rest. Meanwhile, slate Oregon Ego as the heavy favorite to retake their place atop the Northwest mantle. Regional contenders Western Washington Dirt and British Columbia Thunderbirds join Ego as talented teams stuffed full with returners, but neither squad has yet to show the same type of ceiling as the favorites from Eugene. Dirt brings backfield maestro Dennis Casio back as a captain (alongside talented downfield target Daniel Mah), and Hugh Knapp returns to UBC with his booming throws, fresh from U24 competition in Perth. Washington begins the After El-Salaam Era with some strong returners, a bunch of youth on the roster, and a new coach in recent Club Mixed champion Mark Burton. The slate feels almost clean for a team that made a few waves at Nationals in 2017, but the sheer amount of change leaves the team’s potential a question mark before the season’s first pull. There’s lots of opportunity for new faces to fill the roles left by El-Salaam, DY Chen2, Tomás Delgado, and Cooper Schumacher. #11 Pittsburgh has reigned supreme over the Ohio Valley since the region’s creation in 2011, excusing one slip-up in 20163. Perhaps more importantly, they have advanced to at least quarterfinals of Nationals each year. There has been some roster turnover for Pitt (who lost five fifth year players from last season) but the top talent and depth are still there. 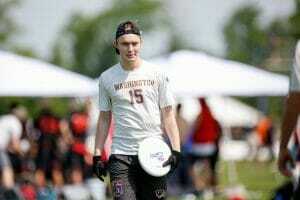 Dylan Best, Jonah Wisch, and Michael Ing are all back and fresh off of gold medal finishes with their Team USA squads at the World U24 Ultimate Championships. The surprise story of this team last season was how consistently they played the full complement of their bench. Young guys on the second D line saw meaningful playing time in the quarters of Nationals. Expect last year’s subbing strategy to pay dividends this spring. Barring a club program suspension or a team-wide mono outbreak at the worst possible time, Pitt should be a lock to advance to Nationals for a 14th consecutive season. For as dominant as Pitt has been over the last seven years, the rest of the region has been that bad. Four times has the Ohio Valley sent a second representative to the National tournament and only once has that team not finished dead last4. But who cares about history and ability to actually compete on a national stage? College ultimate players in Ohio, Pennsylvania, and West Virginia (who has sent a team to the regional tournament exactly once), want an exciting regional tournament. If the OV gets a second bid this will make for a spicy regional Sunday. Cincinnati (a 2015 Nationals qualifier) has found itself back in the Ultiworld Top 25 after putting together a strong showing at Classic City Classic (wins over Georgia and a narrow 17-16 loss to a good NC State team). Like everyone else in the region, they lack the kind of depth that Pitt has but they have a U24 representative in Keegan North, and enough players to grind out games. The thing you’ve got to like about Cincy is, historically, they pay the money and go to quality tournaments. The last few years Cincinnati has flown to Santa Barbara Invite. This year they’re headed to Warm Up. More games against quality competition means more big game experience… and more chances to earn a second bid. The last few years Lehigh, who is technically a D-III school, has peaked at the right time and played way above outsider expectation. At Ohio Valley Regionals in 2017, Lehigh finished in second place and lost only two games. Both were to Pittsburgh. Can they build through the season and put their best game at the end of the season again? As insane as it might sound, don’t count out Carnegie Mellon. The formula will be similar to Cincy: a legitimate stud in Justin Abel and a cast of “do your job” guys. Mr. Yuk is going to Queen City Tune Up, where they will face 10 Top 25 teams. That will be a good early measuring stick for a CMU team that last qualified for Nationals in 1989. Colorado State Hibida is on the rise, #15 Colorado Mamabird has ten hungry rookies to train up, #16 Texas A&M Dozen has shown they can develop new teams with the nation’s best, and Texas TUFF looks remain an institution for the duration. Can Hibida exert control over the region with their veteran squad? Will Mamabird’s athleticism be enough to grind out breaks against any opponent as the newbies adjust to the offensive system? CSU feels like a favorite heading into the season. Cody Spicer has the hops and the POTY-level talent to keep himself in the headlines, but he’s joined by a suite of other talented veterans and supported by a well-studied coaching staff. This year, head coach Tim Kefalas adds Peter Raines (the coach at the helm of Cal Poly-SLO’s rise) to his sideline. The national experience and program pedigree combined among these four programs must feel insurmountable at times for the South Central’s other competitors —what would it take for a team like Missouri or Oklahoma to make it over the hump, earn a bid at a late tournament like Huck Finn, and keep it out of the hands of one of these athletic powerhouses? Some algorithmic magic, perhaps. No, the drama here is pretty simple: 1) Can this region win three bids? 2) If they don’t, who is staying home this May? 3) Who will win what is an always-intense South Central Regionals? It’s hard to remember a more wide-open year for the southeast in the men’s division. A quick glance gives Auburn the edge, but after losing their main downfield threat in Michael Volz it won’t be easy for them to take the region again. The usual powerhouses of Georgia, Florida, Florida State, and UCF will all be looking to take advantage of a weaker year, but some new players could jump into the fray. Certainly, early returns say Georgia sans Bray, Florida, and FSU – now without any big stars or coach Peter van de Burgt – are all trending downwards. Emory and LSU are both sporting young rosters with a physical defense. Emory’s near upset of UGA at Regionals and actual upset of UNC Wilmington at Tally Classic in 2017 shows that they have the potential to put it all together, and another year of graduating hardly no one makes them scary good. LSU is beginning to reap the rewards of Catholic High Ultimate, the 2017 HSNI champions. In typical LSU fashion, they could notch an upset in the early season. But neither team has put forth any consistent attempts at cracking into the region’s upper crust. The key to success for the region will be traveling well. Auburn has established itself as a power not just regionally, but nationally. This makes their bid-earning job a bit easier with prestigious tournament invites, not to mention a 4th place finish at CCC helping the cause as well. For everyone else, they’ll need to notch some wins against top out of region opponents. Central Florida might represent the best chance to do so, but most of the region will get their shots in at Florida Warm-Up and QCTU. Whether it’s Georgia in the backdoor bracket of Easterns, or Florida State at Florida Warm-Up, someone needs to step up to earn the region a second or even third bid. Without that, we may find five southeast teams in the 20-40 ranking range come Regionals. After never having been on the National radar, #12 Cal Poly-SLO CORE now has two straight trips to the postseason finale on the record and a whole lot of experience. The talent pipeline appears to be well-built and stable (for now). With a strong sophomore class leading the often frenetic and high-flying team and a new coaching staff with plenty of Nationals-level experience, CORE looks primed to earn another bid for the Southwest and keep themselves in contention for the regional title. #13 Stanford Bloodthirsty again looks ready to share the duties of Southwest dominance in 2018. They take an initial hit to their 2017 top end without Elliott Chartock in the backfield and Nolan Walsh downfield, but a healthy Nick Hirning and Gabe Hernandez will both anchor another formidable top seven for the Bay Area stalwarts. These two teams will tussle for elite status, but don’t count out feisty efforts from the ever-competitive USC Lockdown, California UGMO, and UC Santa Barbara squads. As these teams set themselves up for another season of west coast-bound infighting for bids, they’ll present persistent threats to tournament titles and bids as long as the top teams let them hang around. Plenty of starpower to start this season’s race, which feels wide open. Check out more preseason coverage of the 2017 Player of the Year race. The burgeoning star of Mike Ing is ready to shine. He tore it up at the College Championships last year, then was one of the stars for Philadelphia AMP in a run to the final of the Club Championships, and was a key contributor for the US Under-24 Mixed National Team that won a gold medal in Perth. He’s big, athletic, and skilled, and a tenacious defender to boot. Perhaps the biggest name in the division is Johnson, the 2016 Rookie of the Year, and a dominant cutter for Boston Slow White this club season. Johnson’s a fearless playmaker, capable of skying or throwing jaw-dropping goals. But he’s also got a motor and can simply grind opponents down when it’s called upon. He’ll never be a conservative player offensively, but that’s part of what makes watching him so exciting. There might not be a more well-rounded player in the division than Rees, back to build on a 1st Team All-American campaign in 2017. He very nearly got on the podium for this award last year, as well. He’s a rock, just as adept in the backfield as he is downfield, and he rarely turns the disc over. It makes him a perfect centerpiece for Oregon’s attack and his versatility could be what wins him the award. The development of Gouchoe-Hanas has been a remarkable upward trend. He’s one of the best handlers in the division, but has truly grown as a defender and cutting threat. But ultimately, what makes him a Player of the Year candidate is that he makes his teammates better. He’s a poised and passionate leader, ready for the big moments, and doing whatever is asked of him by his team. The breakout star of 2017, Spicer narrowly missed out on All-America honors. He’s kind of just too big to fail. He can crush you in the air, but he’s pretty comfortable taking unders and keeping the disc moving. And Spicer is surprisingly quick for his size. Most of all, however, is that Spicer is the answer to the opposing team’s best player. His size and quickness allows him to swallow up handlers or outmuscle big men. Fighting his way onto the list this fall, Jake Steslicki is certainly an underdog to win the award. But once you watch him play, you may change your mind. He’s a wizard in the backfield, manipulating pace and movement to create reset opportunities and then attacking with his throws. Don’t sleep on his ability to generate turns either, using his length and game IQ to interrupt the offense. A 2017 1st team All-American, Olson accomplishes the difficult task of standing out among a deep and skilled roster, despite being a skill player himself. Olson has seemingly infinite touch to apply to his throws, a vicious break thrower who rarely misses a target. It also means he can carve through zones with ruthless efficiency. If he can play all season like he did at Nationals last year, he could take the award and a second straight title. There’s simply not enough respect for Mekler from the ultimate community at large. He’s a killer, incredibly reliable with the disc and equally so without it. He’s a perfect mid, a guy who can operate from the middle of the field and create room under and then attack with defenders out of position. Because of his skill and experience, however, he may spend much of this season behind the disc, using his wits and throws to power the Grey Duck offense. You may not know them yet, but whether it’s due to developing talent, a bigger role, or the potential for heightened team success, these are the players who could make a big splash this season. Even without phenom Liam Searles-Bohs, this group is stacked. Not only are Randby and McDonnell top 10 recruits in their own right, but all have experience together on the dominant Triangle Area Triforce. The cream of the crop of Carolina’s home grown talent has finally resisted the innate urge to migrate north (to Carleton) for college, and it will pay dividends for years to come. Randby, McDonnell, and Chen are all trying out for the U20 Worlds teams in a few weeks- I’d be astounded if at least two of them didn’t make the final roster. Amanze has been making big plays from a young age– you might say he’s amanz-ing™5. Meanwhile, Root is a U20 World’s veteran and has played with the Cascades in the AUDL. He’s also technically a sophomore, but didn’t play for a significant team last season and is thus being counted as a rookie. Both will be essential to getting Dirt back to Nationals. With such a large senior class exiting, the Hodags are fortunate to have three incredibly talented incoming freshmen. Schewe (Mad Men) and Rubin Miller (NYC Blueprint) bring high level club experience, and all three were invited to the upcoming U20 Worlds Tryouts. They’ll have a chance to immediately make an impact in the vacuum left behind from the graduations of Avery Johnson, Ross Barker, and the rest. A ginormous class (8 rookies) is headlined by Sam Hammar, a two-year Minnesota Sub Zero veteran, and Amherst standout Ben Goldman. Expect Hammar’s exceptional athleticism to make an immediate impact for Mamabird’s D-line. If Randolph was in any class other than the class of 2017, he’d most likely be the number one recruit. Sadly, Liam SB exists, so Randolph is relegated to the silver. Nevertheless, he brings a vast array of experience, playmaking, and athleticism to Brown. Randolph has incredible experience for a college freshman: U20 Worlds, club with Seattle Voodoo, and AUDL with the Cascades. Bay Area star and U20 tryout invitee Villaneuve is the cherry on top. Tyler French has quite the resume. In all seriousness, he’s an immediate impact player, and he and Mock will help Tribe’s young core compete in the Southeast. P.S. : Shoutout to Tribe rookie Jay Burnette, who can now retire since his goal of being mentioned on Ultiworld has been fulfilled. A year after Baton Rouge Catholic High won the High School National Invite, LSU seems on the precipice of their strongest season in the modern era. Adding Reviere and Freeburgh, along with some other depth, has helped propel LSU into top 25. They’ll have big roles from the get go. Need to know what weekends will play host to the biggest games of the year? These tournaments are the touchstones of the season. Simon Pollock is a Contributing Editor at Ultiworld. He lives in Seattle and started writing for the site in 2014 while living in Baltimore, MD. Email him: simon@ultiworld.com or tweet at him: @_simonpollock_ . 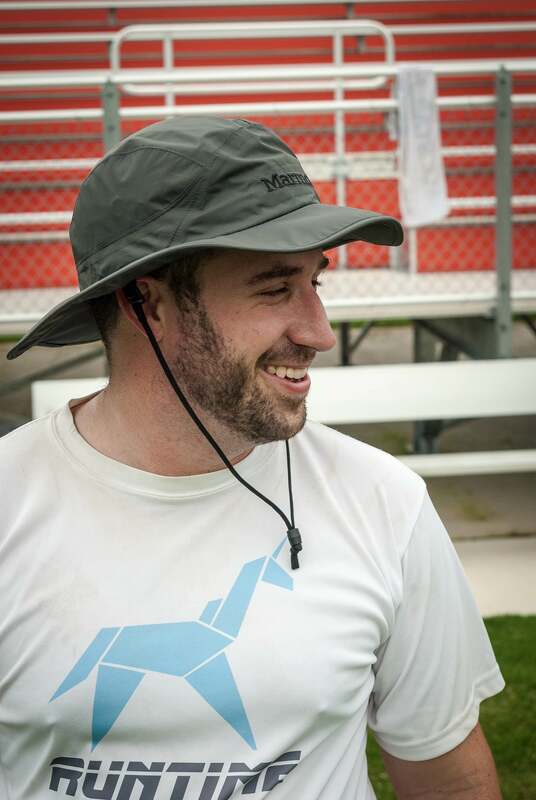 Keith Raynor is a Senior Editor and the College Content Manager at Ultiworld. He co-hosts our Deep Look podcast and does play-by-play and color commentary. He coaches UConn Rise, the college's women's team. You can reach him by email (keith@ultiworld.com) or on Twitter (@FullFieldHammer). 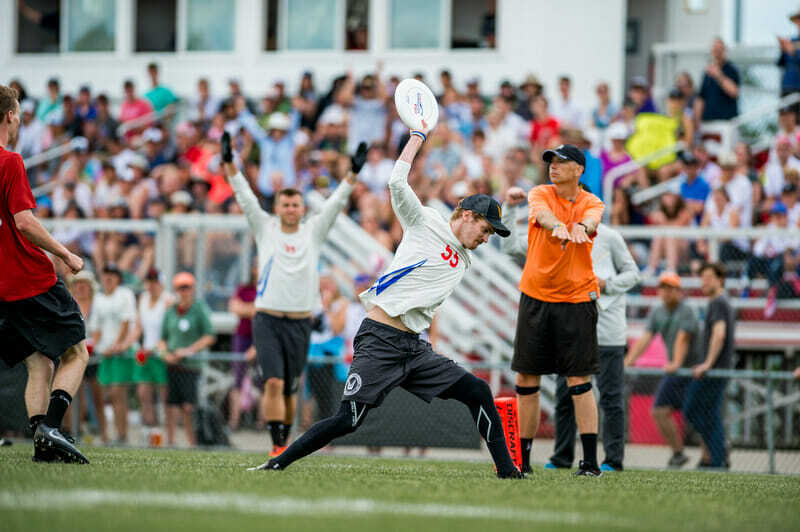 Preston Thompson has been a staff writer for Ultiworld since 2013. He is a graduate of the University of Alabama where he played for four years. He started playing ultimate in the AFDC in Atlanta, GA in 2009. You can reach him by e-mail (preston.james.thompson@gmail.com) or follow him on Twitter (@pston3). Comments on "D-I College Men’s 2018 Season Primer"